Do you post videos on YouTube? Want to know what makes a video ad successful? 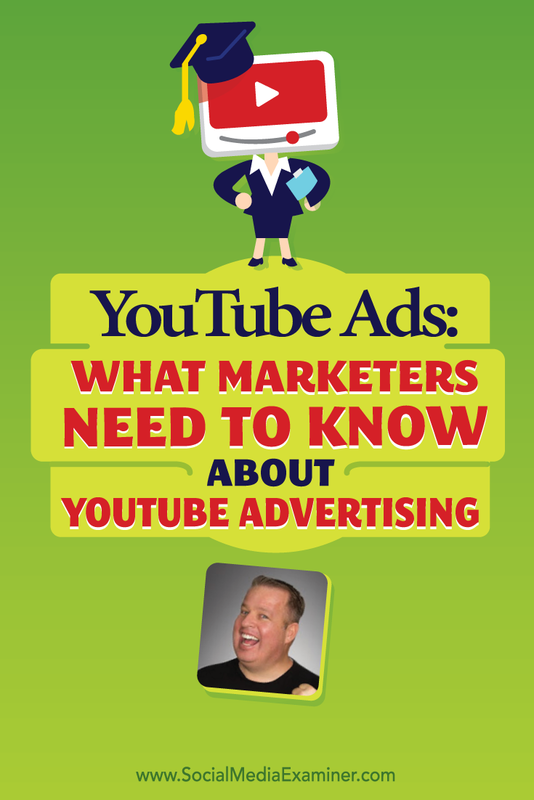 To discover how YouTube video ads work, I interview Derral Eves. In this episode I interview Derral Eves, an expert in YouTube and video marketing. He’s YouTube-certified in Audience Growth, AdWords, Google Analytics and Video Advertising. He’s helped big and small businesses bring in more than 1 billion views collectively. Derral will explore YouTube ads and what marketers need to know. You’ll discover the formula for creating great video ads. 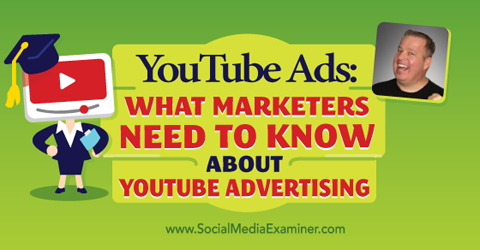 Listen as Derral Eves shares what marketers need to know about YouTube advertising. In 2006, Derral was doing a lot of search engine optimization work with local businesses when he found their videos ranked easily on Google (this is back when Google had Google Video). Late in 2006, Google purchased YouTube and it became a lot easier to find something on YouTube through Google. Derral realized it was a great way for small shops to share their message and get easy ranking and visibility. Derral shares how a video that cost $99 to make in 2006 received over 385,000 views on YouTube and has sold more couches for a furniture store than any of their other advertising. A couple of years ago, Derral started doing his own videos to help clients get answers to common questions. He created a plan of execution, tried to figure out the best trending videos to make and so on. His goal was to get 10,000 subscribers and a million views in that first year. He reached his goal in three months. In six months, he was number-one for training on how to use YouTube on YouTube. Derral Eves is a YouTube certified marketer. Image: Placeit. Today, Derral consults with and helps businesses, brands and YouTube channels get exposure, develop an audience and monetize. Listen to the show to discover what originally led Derral to YouTube. Because video ads convert at a very high level, Derral believes video marketing is a great way to deliver, engage and excite. He says video is powerful if it’s done right, but can be negative if it’s done wrong. Derral talks about working on the video ad for the Squatty Potty, which appeared on Shark Tank. As of this recording, the video has 43 million combined video views from Facebook, YouTube and some freebooted video. Although Derral found that Facebook video is good for branding and engagement, he says the video got better conversions with YouTube. Listen to the show to discover the benefit of Facebook video versus YouTube. Derral says you need to start by determining what you want to accomplish with your video ad. He cautions that if you have 80, 10 or even 3 things you want to accomplish, then it’s never going to work. You need narrow it down to one reason to make the ad. Then everything else will benefit from it. When you know what success looks like, you work backwards to get someone to take the desired action at the end of your video. Derral says you have a short amount of time to accomplish this and walks listeners through the steps he uses to build YouTube video ads: capture attention, talk about the problem and offer a solution. He believes that if you do this correctly, you can repeat it several times throughout the video and you can keep your audience engaged throughout the process. For example, even though the Squatty Potty video is long (2:54 minutes), the audience retention was high and over 80% of the people who click on it watch the whole ad. He refers to the repeating of this formula as his power pitch. Derral explains the difference between educational videos and videos that sell products, and discusses his experience with short ads versus long ads. Listen to the show to hear Derral break down the creation of the Squatty Potty video. To deliver ads on YouTube, you use AdWords. Derral explains that AdWords is part of the Google Ads Display Network and says that if you set everything up properly, the retargeting and remarketing opportunities are amazing. He shares that when you upload email lists for remarketing to custom audience lists, YouTube has a higher match rate than Facebook. He describes the process of using if/then statements in AdWords to create custom combinations that retarget viewers based on their previous behaviors. For example, if someone went to your website, watched a video but didn’t purchase anything, you can serve them an ad. Or when a viewer has watched two videos, shared and liked a video or commented on a video, you can serve them an ad or redirect them to a purchase page. He talks about how your advertising can show up in YouTube video embedded on websites owned by brands such as Mashable. Listen to the show to hear about the video funnel. The thing Derral loves about AdWords is that you can get a lot of visibility quickly and for free. He explains that this is because Google only charges you when someone clicks or watches at least 30 seconds of your ad (or the full ad if it’s shorter than 30 seconds). The key is to understand how your ad is doing. You need to analyze and adjust it to make it more effective. Derral says he always split tests ads, and uses the one that actually converts, and shares when and how you might decide to raise your advertising spend. He explains the difference between TrueView in-stream ads and in-display ads and how they’re bid and paid for. Derral says that any video you upload to your channel can be turned into an ad at any time. For example, Derral sometimes uses his “Who is Derral Eves?” video as an ad. Listen to the show to discover how to get started with your budget. 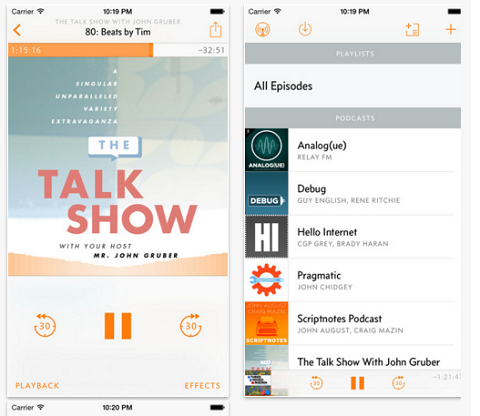 Overcast, a free iOS podcast app, has been revamped and improved! All of the extra features that were once available only to paying users are now free. The Overcast podcast app for iOS mobile is vastly improved. Want to discover new podcasts? Connect your Twitter feed to find shows your Twitter friends have been tweeting about. You can easily share an episode while you’re listening to it, and episodes can get voted up, then ranked and shown to people inside the app. The biggest benefit is the voice boost that auto-normalizes the audio levels in the show you’re listening to. Overcast’s smart speed feature is cool because it shortens the length of the natural pauses in conversations so the show goes faster. This lets you finish listening minutes ahead of time without making the podcast sound like it’s sped up. And, if a show has time codes in the notes, you simply press one and it automatically jumps to that place in the episode. Listen to the show to learn more and let us know how Overcast works for you. 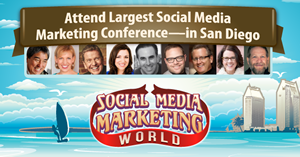 You can now sign up for Social Media Marketing World 2016. It’s the world’s largest social media marketing conference. By attending, you’ll make connections with 100+ of the world’s top social media pros (plus 3,000 of your peers) and you’ll discover amazing ideas that’ll transform your social media marketing. Speakers include Guy Kawasaki, Mari Smith, Michael Hyatt, Jay Baer and Michael Stelzner. Listen to the show to hear endorsements from Guy Kawasaki and Darren Rowse. I think what makes this event particularly valuable is the pure number of high-profile influencers and thought leaders. Come, shake their hands and listen to all they have to say. We have excellent relationships with everybody in the industry, and actively work to bring the top experts in the world to you. Connect with Derral on his website. Watch Derral’s videos, including Who is Derral Eves? Check out Squatty Potty and watch the unicorn video. Learn more about AdWords and the Google Ads Display Network. Explore TrueView in-stream and in-display ads. What do you think? What are your thoughts on YouTube ads? Please leave your comments below. Derral Eves YouTube image created with Placeit. 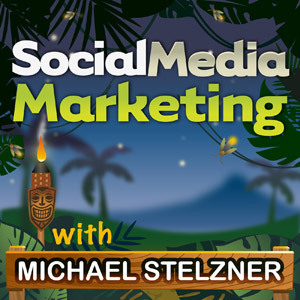 Derral Eves talks with Michael Stelzner about how to succeed with YouTube advertising.